Boston­, Massachusetts dentists can administer Botox and dermal fillers to patients as part of their overall dental treatment plan, per a new state regulatory policy. The Massachusetts Board of Registration in Dentistry approved the policy unanimously March 6, joining at least 20 other states that address the issue of general dentists administering botulinum toxins, the clinical name for what’s commonly known as Botox. Dr. Mina Paul, chair of the dental board, said she established a task force last year to study the pros and cons of implementing a Botox policy. “The task force unanimously felt strongly that it’s an area that dentists can definitely work in and deliver without a problem, given our background and training,” Dr. Paul said. One of the components affecting the decision was based on the focus of temporomandibular joint disorders in Boston’s three dental schools—Boston, Harvard and Tufts Universities—and how Botox can treat the condition, Dr. Paul said. 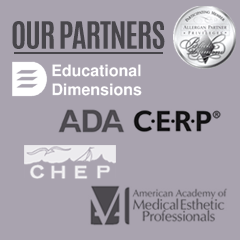 Massachusetts dentists who want to administer Botox and fillers must be board certified in oral and maxillofacial surgery or have completed a minimum of eight hours of training in the administration of botulinum toxins and/or dermal fillers that includes instruction in the anatomy of head and neck, neurophysiology, patient selection, pharmacological effects and contraindications, management of complications, informed consent and hands-on training on the administration of the agents. The training must be offered by a continuing education provider approved by the ADA’s Continuing Education Recognition Program, the Academy of General Dentistry’s Program Approval for Continuing Education or another nationally recognized and accredited entity approved by the dental board. The ADA supports dentists performing any procedure for which they are qualified by education, training and experience and consistent with the laws of the state in which they are practicing. The Association is aware of at least 20 states that have addressed the issue of general dentists administering Botox. State regulations related to the administration of Botox vary widely. Some states permit properly trained dentists to administer Botox for cosmetic purposes, while others only allow dentists to administer Botox when there is a dental benefit. There is no national uniform regulation for the administration of Botox. For the most up-to-date information, dentists should contact their state dental board.